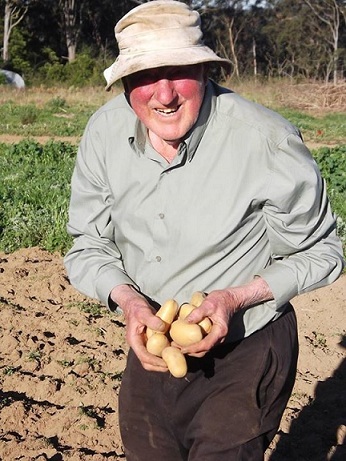 Ed has been farming for years and it wasn’t until he’d reached his 80’s that he worked on having a large section of his farm organically certified. This is the part where he grows luscious vegies for FIG, including beetroot, zucchini, kale and lots of other produce throughout the seasons. He now has granddaughter Laura growing with him.